The HMS PTO is sponsoring a Christmas Dance for our 6th-8th grade students. 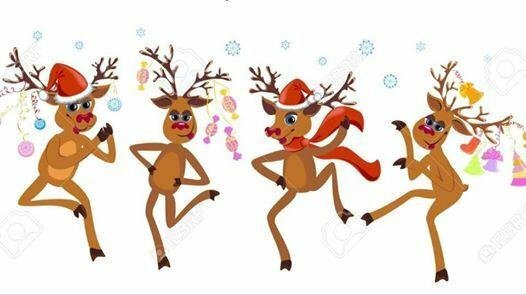 The dance will be held on Friday, December 7th from 6:00-8:30 p.m. in our school gym. The cost to attend is $5.00 per student and students can purchase tickets from their homeroom teachers beginning on Wednesday, November 28th. The dress for this event will be "dressy casual" if students would like to dress up a little for this dance. Please remember that all students must still follow the school dress code for this event. Concessions will be sold and a "selfie station" will be available for pictures from the event. Please contact a PTO member if you wish to volunteer to help with this event. Parents must sign up in advance to chaperone. Parents not signed up with a PTO member will not be allowed inside the gym. Please contact the office for additional information or a PTO member. You can also find out about PTO information on the PTO Facebook page at "Headland Middle School PTO".